There’s one that I fail to see, that’s the Griefbird; There’s the bird that steals my heart, that’s the Thiefbird; I spot a bird for just a few seconds, that’s the Briefbird; The bird that poops on my head, that’s the Mischiefbird…. …Why don’t the ornithologists list all these, along with the Leafbird! 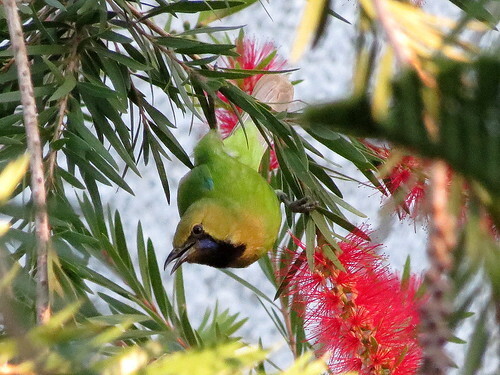 Leafbird, Kaiga, 11 Jan 2016. Line 6 by Vikram Hiresavi, Line 7 by Adnan Raja.